Thick and creamy, this smoothie is sure to please. Whipped cream on top makes it even better. Put the strawberries, cream, vanilla extract and sugar into a blender. Blend until smooth. Put the ice into the blender and blend until thick and icy. 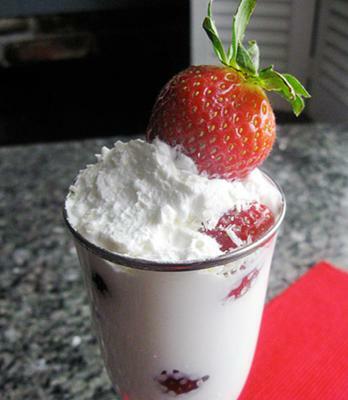 Put the whole or halved strawberries into the glass and put whipped cream on top!